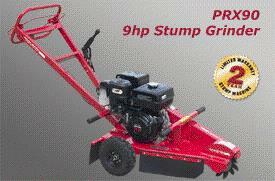 **** CAUTION **** FOR GRINDING STUMPS * 8" * & SMALLER !!!!!! WILL FIT IN BACK OF S.U.V. * Please call us with any questions about our grinder stump small rentals in Tulsa OK and neighboring communities in Northeastern Oklahoma.